WooHoo! I’m Featured on Thingiverse! 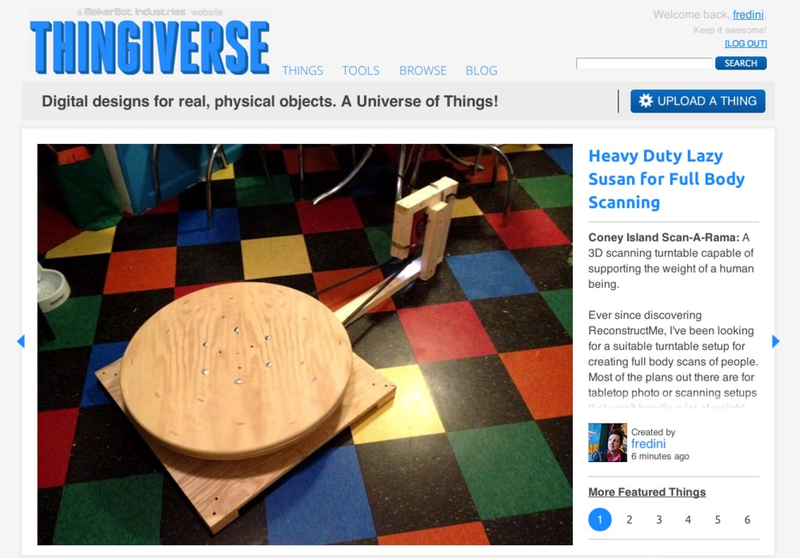 I just posted my plans on Thingiverse for a Heavy Duty Lazy Susan for full body scanning and within a few minutes it was featured on the homepage!